Agua de Colonia Concentrada is a highly popular fragrance from Alvarez Gomez, the oldest perfumery in Spain. These handy wipes are infused with the Agua de Colonia scent and can be used anywhere on the body to invigorate and refresh your skin in an instant - a great travel companion. 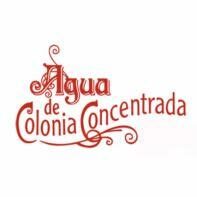 Agua de Colonia Concentrada has a wonderful scent which evokes lovely fresh Mediterranean fragrances of Lemon, Thyme, Lavender, Eucalyptus, Geranium and Rosemary - loved by men and women alike. Perfect to keep in your wash bag when travelling for a fresh scent when you need it. Travelling? Click here to browse our extensive range of travel shaving products to find everything you'll need to take away.